Volkswagen is teaming up driver assistance systems provider Mobileye and Champion Motors to pioneer an autonomous electric ride-hailing service in Israel. The deal will see Volkswagen provide electric vehicles and mobility experience for the ‘New Mobility in Israel’ joint venture while Intel-owned Mobileye will provide its level-4 AV Kit self-driving system. Champion Motors will be responsible for fleet logistics and infrastructure of the Mobility-as-a-Service deployment. Development will begin in early 2019 and roll out in phases to reach full commercialisation in 2022. The exact number of vehicles and models wasn’t given but the partners said it would be in the hundreds. 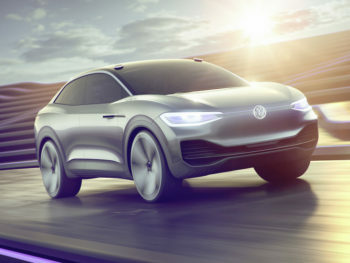 Volkswagen’s first full-electric SUV, the ID. Crozz, is to launch in 2020 as part of its e-mobility offensive, which aims to bring 20 new full-electric models onto the market by 2025. The project is already garnered the support of the Israeli government and is subject to approval by the responsible authorities and bodies. The project will also help to further the way for future MaaS offerings in Israel. “We firmly believe that self-driving electric vehicles will offer Israel and cities around the world safe, clean and emission-free mobility, which is accessible and convenient. We are looking forward to this partnership with our local partners Mobileye and Champion Motors from Israel,” said Dr Herbert Diess, CEO of the Volkswagen Group.